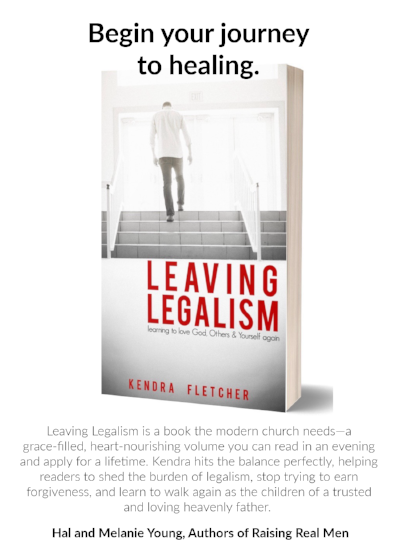 Thanks for your interest in helping launch Leaving Legalism: Learning to Love God, Others, and Yourself Again. I am looking for writers and social media lovers with a passion to get the message out to those leaving legalistic and rigid churches and faith communities. If you have a passion for seeing people find freedom in Christ, I'd love to have you on the team! You'll receive a digital copy of the book, an invitation to join the Leaving Legalism community on Facebook, shareable graphics, and any other type of support I can provide. That includes prayer and a listening ear. Leaving legalism is a watershed event that leaves even the strongest of us with wounds and a long road to healing. Please fill out the form below and I will get back to you ASAP. How might I support you as we launch the book?